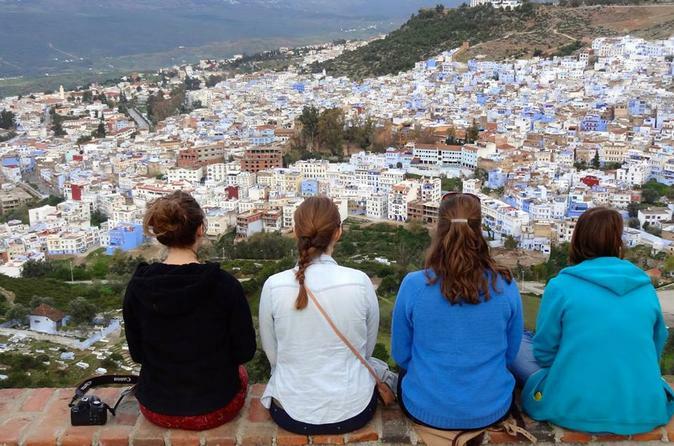 Enjoy a day trip to the blue city of Chefchaouen and learn about authentic handicraft that you can not find in the other cities of Morocco. 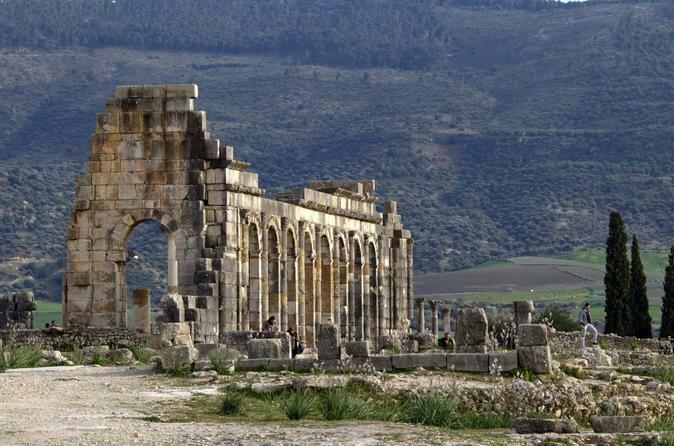 Your day trip to Meknes and Volubilis takes you on a historical journey through the rich and varied past of Morocco. 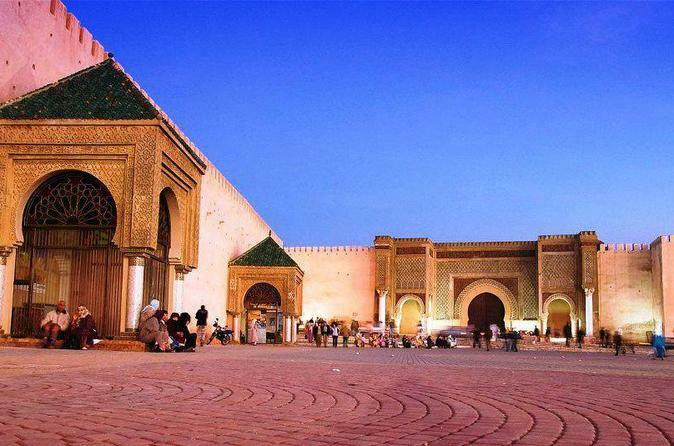 Discover the culture of Morocco as you partake in sightseeing of the city Meknes, once the capital. 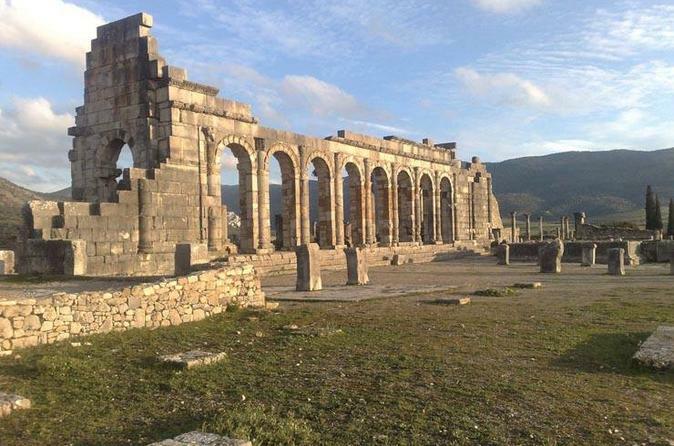 Enjoy Volubilis, one of the most preserved Roman ruins in North Africa. Afterwards, head back to Fez with fond memories of this journey through history in your private vehicle. 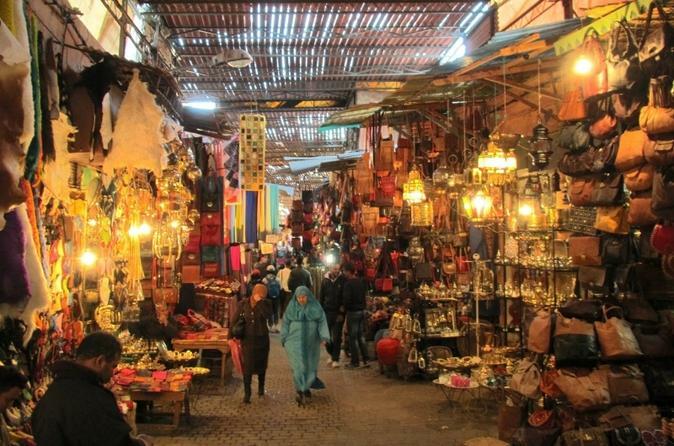 A 4-hour guided tour of the medina in Fez is a great way to get an inner look into the culture and history of the city. An official guide for the Tourist Office will take you through the medina of Fez, one of the world’s largest walled cities. You will start this tour by visiting The Medina, the largest in Morocco. Due to its immense size, in 1976, it was subdivided into some twenty smaller Medinas and is now declared as a world cultural treasure from UNESCO. 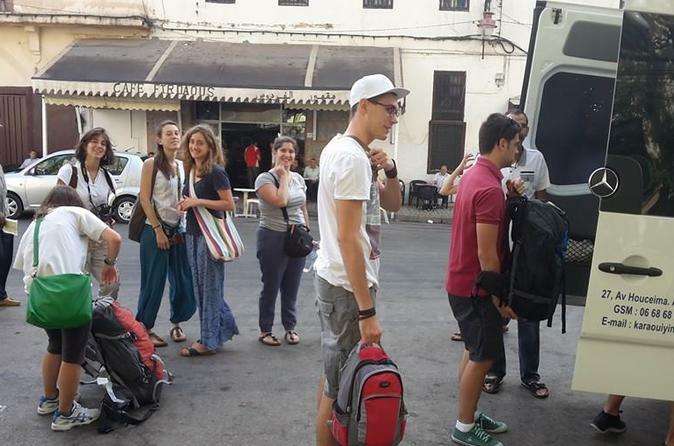 This follows with a visit to the Medersa Bou Inania, which was the largest school in Fez and the most costly. You will then go to Nejjarine Square. Then you will see the Karaouyine Mosque (outside view only), one of the oldest religious teaching centres, with a university tradition dating back to the 10th century. 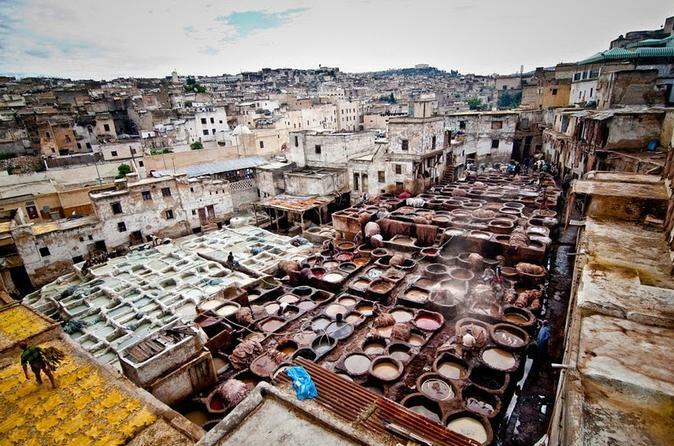 You will then visit the Tanneries, the colourful tanner’s quarter, spread out along the banks of the Oued Fez. Finally pass trough the modern city before your transfer back at your hotel. Embark on an unique day trip from Fez towards the Roman ruins of Volubilis, the Holly city of Moulay idriss and the Imperial City of Meknes, in a comfortable air conditioned car and a professional driver who speaks English, French and Spanish. Discover two UNESCO sights in one day: the unearthed Roman city at Volubilis and the Imperial City of Meknes. Discover the Berber-populated Middle Atlas region on this captivating day trip from Fez. 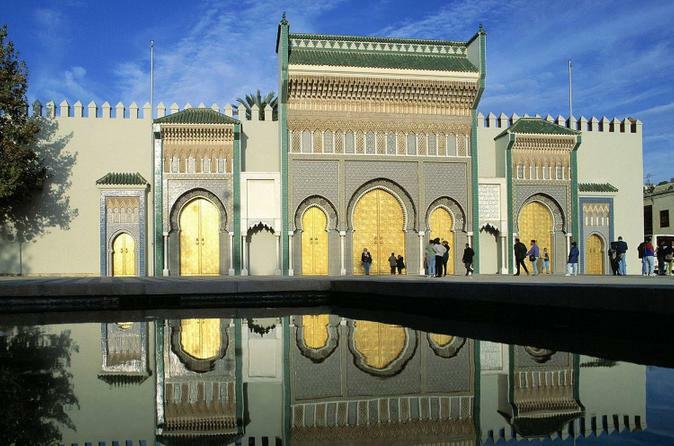 Enjoy a cultural day trip from Fez to Meknes, Volubilis and Moulay Idriss to understand more about the past and present of Morocco. Day trip from Fez towards the Roman ruins of Volubilis, the Holly city of Moulay idriss and the Imperial City of Meknes, in a comfortable air conditioned car and a professional driver who speaks English. Enjoy a day trip from Casablanca to Fez visiting the world’s oldest university Al-Qarawiyyin and stop to see the oldest tannery in Africa. Discover the local medina and souks to taste the street food and meet local artisans. 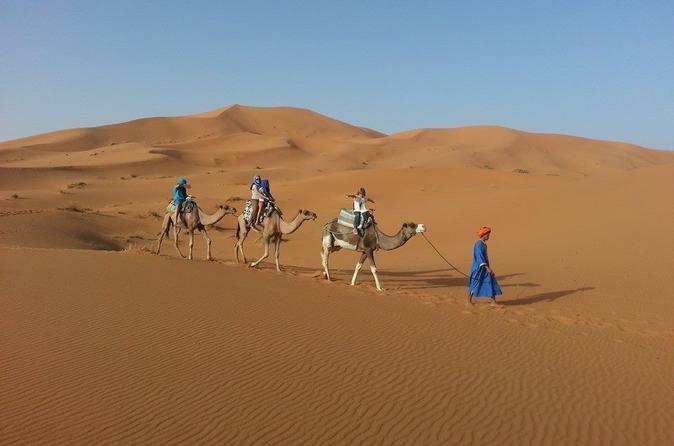 On this 3-day excursion into the Sahara offers plenty of opportunities to experience the local life and great scenery. Drive through Cedar forests, the middle of the Atlas Mountains, see Berber villages and an oasis. 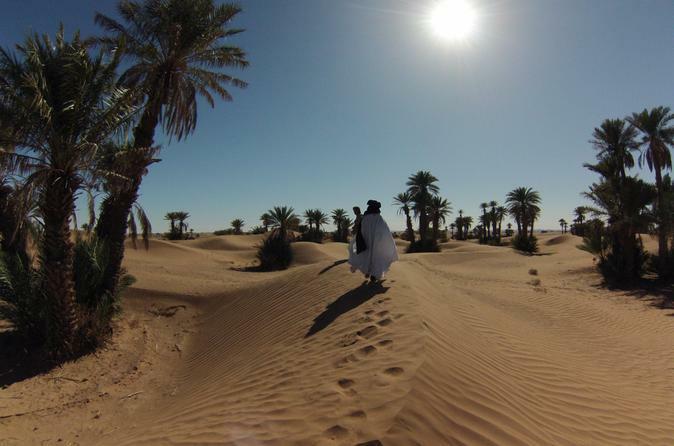 The trip includes a camel ride to see the sunset and sunrise in the desert. 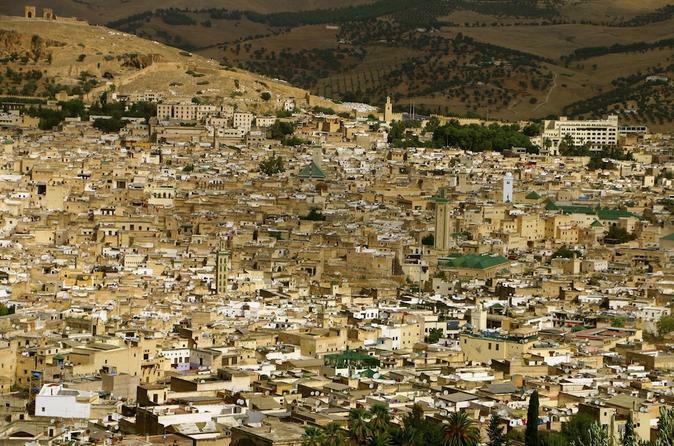 If you are in Fez for the first time, no need to waste your time getting lost in the narrow streets of the old town. Explore the Medina and its labyrinth of lively streets and famous souks on this full-day tour in Fes with a private guide. This day trip is dedicated to exploring the spiritual and cultural capital of the area. Fez is the religious, artistic and intellectual center of Morocco as well as the oldest and most famous of the imperial cities. 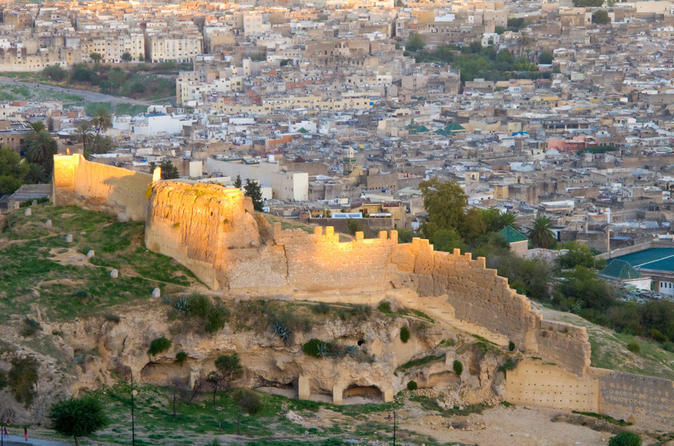 Tour the huge Medina, Fez el-Bali, and visit the main attractions. Explore the architecture, culture and heritage of one of Morocco’s most vibrant cities on this private, full-day tour of Fez. Follow your personal guide through the narrow streets and bustling souks of Fez’s UNESCO World Heritage–listed Old Town. 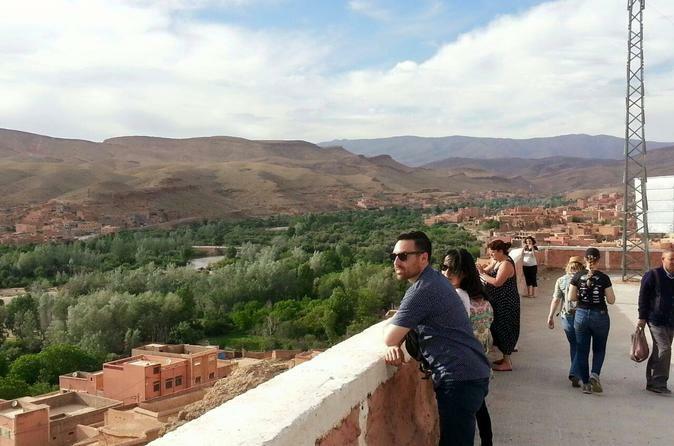 Watch traditional Moroccan potters at their kilns and take in panoramic city views from the Borj Sud. Discover the Zaouia Moulay Idriss II — a shrine dedicated to 9th-century ruler Moulay Idriss II. Soak up the atmosphere in Souk el Attarine and admire traditional ceramics and brassware at the Dar Batha Museum. 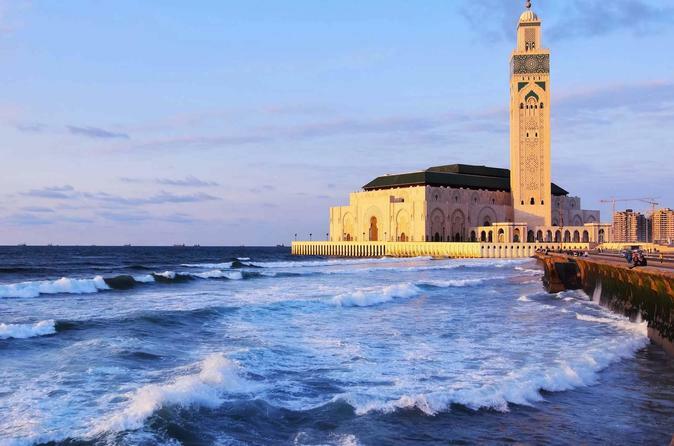 A fascinating and adventurous tour for first time travelers to Morocco - enjoy this tour with your private guide and a private car. 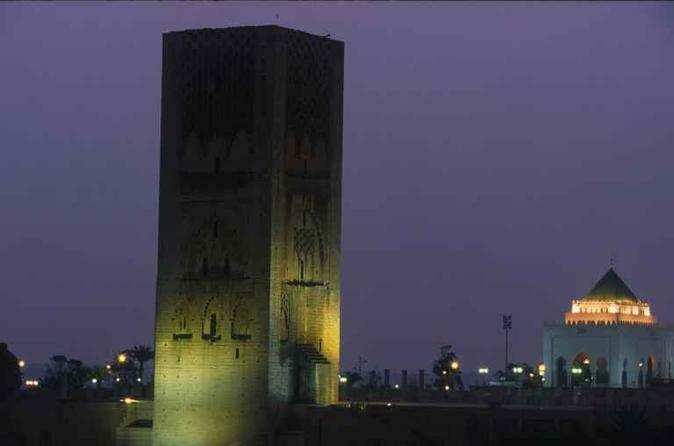 Spending seven nights 4* accommodation, explore Fez, Casablanca, Rabat, Meknes, Volubilis and Marrakech. Cross Morocco the Berber way and experience life outside the city on this private 3-day tour from Fez to Marrakech. 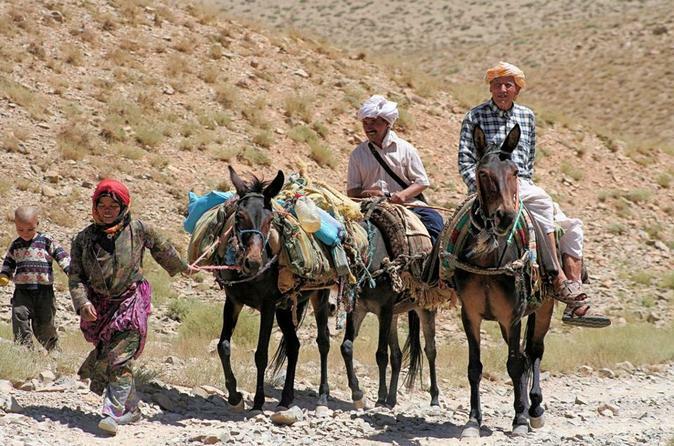 Travel through the fertile Saiss plains to the Middle Atlas mountain range with your guide. Discover desert oases and traditional Berber villages along the Todgha River, and visit the holy town of Rissani. Explore the Dadès Valley and the Valley of Roses, and watch local workers blending rose-scented perfumes. Trek out into the Sahara Desert on camelback and discover the UNESCO World Heritage–listed Aït Benhaddou kasbah. Discover thousands of years of Moroccan heritage on this private Meknes and Volubilis day trip from Fez. Admire ancient vineyards and olive groves on your journey across the mighty Saiss plains. 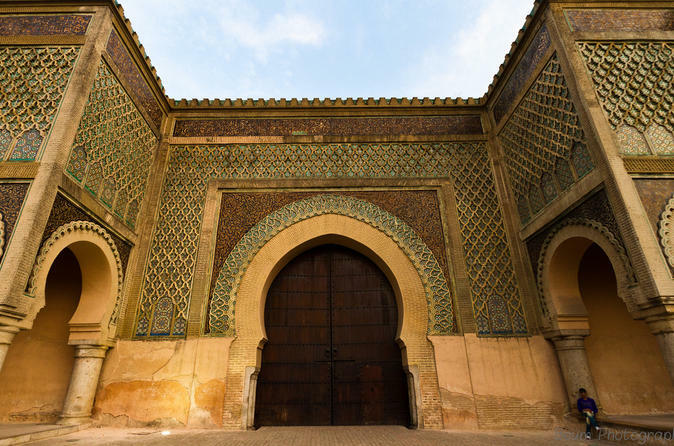 With your private guide, visit the Mausoleum of Moulay Ismail in Meknes; watch traditional musicians and storytellers in Place el-Hedim; and wander through the souks of the Old Town. 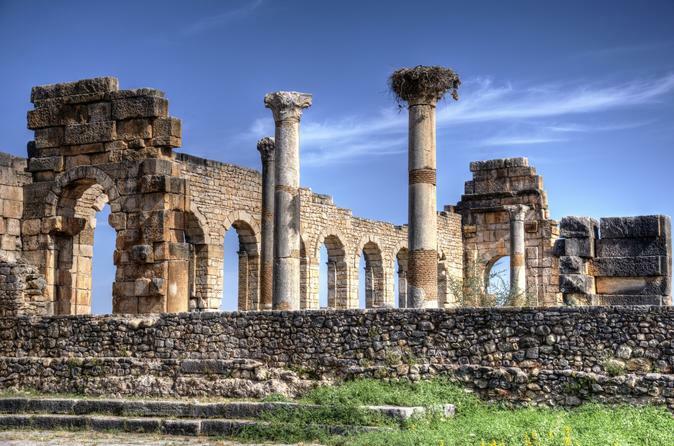 Explore, too, the hillside settlement of Moulay Idriss Zerhoun and marvel at 2nd- and 3rd-century Roman ruins at the UNESCO-listed site of Volubilis.